Southeast Asia is one of the world’s most diverse regions. Home to an impressive number of ethnic and linguistic groups, it has produced numerous distinctive cultures throughout its long history. However, historically Southeast Asia has been poorly understood. Situated between India and China, it has often been seen as a “passive” region subject to the influences of the dominant cultures surrounding it. This is clearly evident from European colonial powers’ names for region—such as “Indochina”—which dismissed Southeast Asia as a subsidiary transitional area between these two primary cultural zones. At the same time, the growth of modern scholarship, especially archeology, in Southeast Asia has revealed how the cultures indigenous to the area, while incorporating outside influences, developed in distinctive ways. This has led to a reevaluation of the history of the region as a whole, so that Southeast Asia is now understood as an important cultural zone in its own right. Hawai’i has played a key role in this reevaluation, beginning with the discovery of the Bronze Age Ban Chiang culture in northeastern Thailand in the 1960s by University of Hawai‘i archeologist Dr. Wilhelm Solheim, and continuing to the present day. 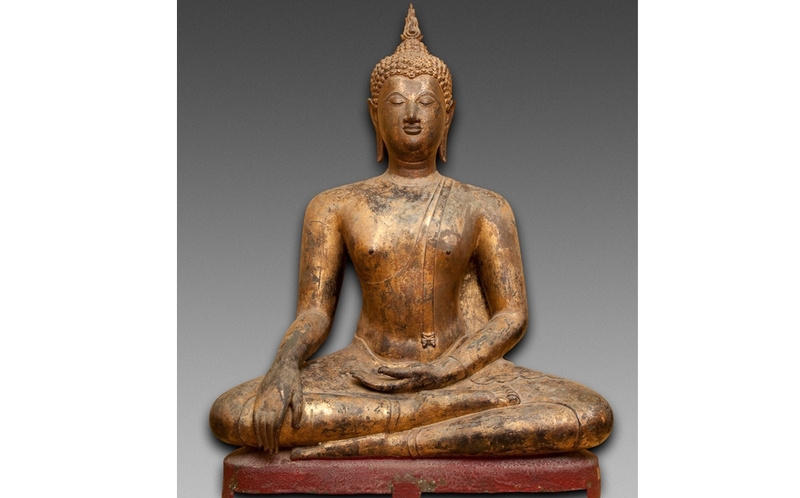 The Honolulu Academy of Arts has a comprehensive collection of Southeast Asian art that ranges from the Neolithic period, nearly 4,000 years ago, through the important Angkor (802-1432) and Sukhothai (13th-15th centuries) kingdoms, into the modern age. While the Academy is one of the few museums in the United States to have galleries dedicated to Southeast Asian art, only a small portion of the collection, consisting of more than 1,700 works of art, can be placed on permanent display. This exhibition includes 151 works of art from Thailand and Cambodia, many of which have never been seen by the public. 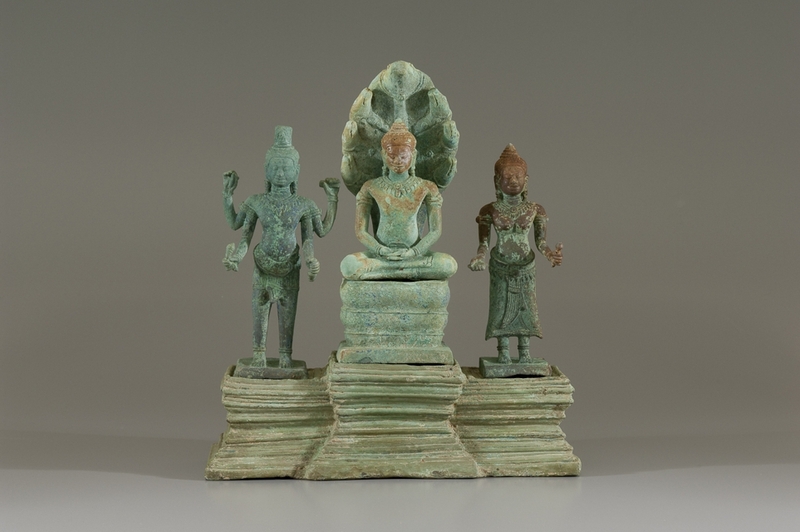 The objects are divided into three sections: the Neolithic and Bronze ages in Thailand and Cambodia; the Angkor kingdom, which dominated the central Southeast Asian peninsula, including Cambodia and parts of Thailand, for more than six centuries; and the Sukhothai kingdom, generally considered the first major Thai kingdom and the progenitor of the modern Thai state. 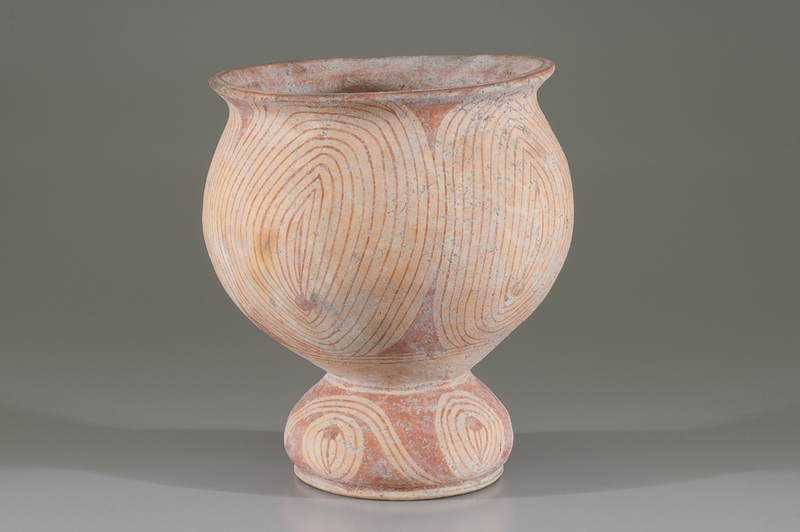 The exhibition covers the artistic developments of these three Southeast Asian cultures from the 2nd millennium BC through the 16th century AD. Download the visitor guide featuring in-depth information on the artwork and history featured in Four Thousand Years of Southeast Asian Art. The guide is generously sponsored by the Hawaii Council for the Humanities. This is a large file and could take a moment to download depending on the speed of your internet connection.